Personally, I think Plan B — even though it’s been a little crazy for all of us — has turned out pretty damn good. As I sit here typing this, I’m waiting for page proofs for Gaming In The ‘Verse: GenCon 2013 Exclusive, our first limited edition release. The Exclusive announcement was met first with trepidation. What is this crazy thing? A beta? (No, it’s not.) 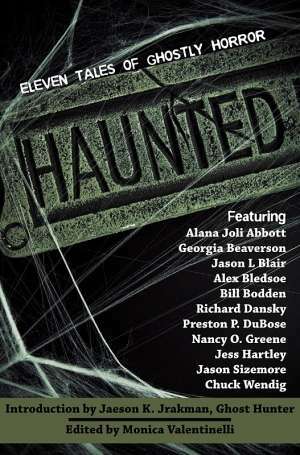 Then, as we revealed more and more information about this 272 page game book — the more excited folks have been getting. The table of contents. 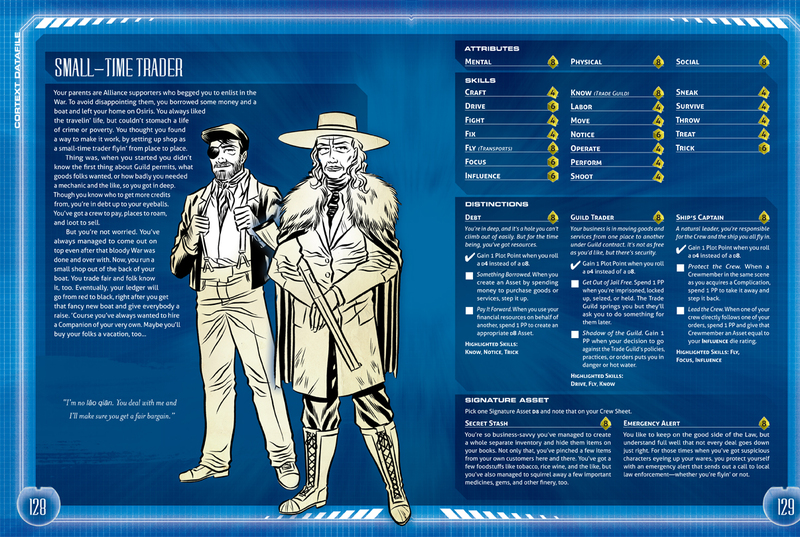 The first glimpse at Badger, a gamemaster character. The small-time trader archetype. This release is a preview combining both aspects of the Firefly RPG line: the corebook and the Echoes of War adventures. If you like your science fiction on the gritty side, you’ll likely find Echoes of War to be a great way to play in the ‘Verse. I’ve seen most of the pitches already for this line of adventures and each writer incorporates a different aspect of the fallout that occurred after the Unification War ended. Weapons dealers. Profiteers. Orphans. Cover ups. Slimy politicians. Conspiracies and the like. Each Episode has the potential to scale dark depending upon your group but, at the same time, still feel very Firefly-y. The thing of it is: this game isn’t meant to be a literal translation about what scenes and setting-related material we’re providing for you. Though the five-act structure is presented just like the television show, it doesn’t necessarily make this game linear. The Cortex Plus system, which reminds me a lot of the Storyteller System in some ways, is extremely fluid. Cortex Plus will allow you to get whatever you want out of the story — which means that there are a ton of variables that we can’t possibly address in a design or adventure context. Imagine a very serious moment. A skeleton found on a derelict ship. Pretty terrifying given there might be Reavers lurking about. Jayne could crack a joke. Book could say a prayer. River could be… Well… River. Then the GM sets the stakes. Game on! You roll to find out what happened to the deceased and not only do you fail to raise the stakes, you jinx yourself, too. Aw, shucks. What was supposed to be a simple investigation on a derelict ship just got a lot more complicated. 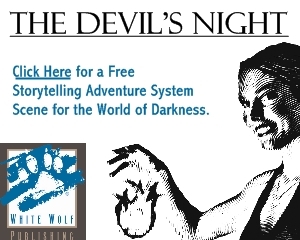 If you’re remotely curious about this game, the Exclusive will give you a good opportunity to have some fun. Remember, the truth of the Reavers hasn’t been exposed yet. These are still the boogeyman lurking somewhere out in the Black — along with scavengers, bounty hunters, and rival crews hoping to get by. Where you play will be just as important to your game as who you’re with. As long as you keep that in mind, you’ll be shiny. 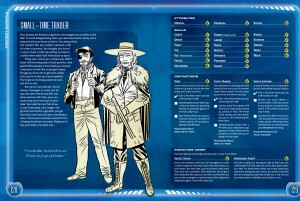 For more information about the Firefly RPG, you can follow the updates at www.margaretweis.com. If you don’t see an announcement there, it’s because we’re not ready to reveal it yet. We are making every effort to update the site and post information as we receive it, so be sure to check back often. Hope to see all you Browncoats at GenCon! SHINY! I’m digging this so far!